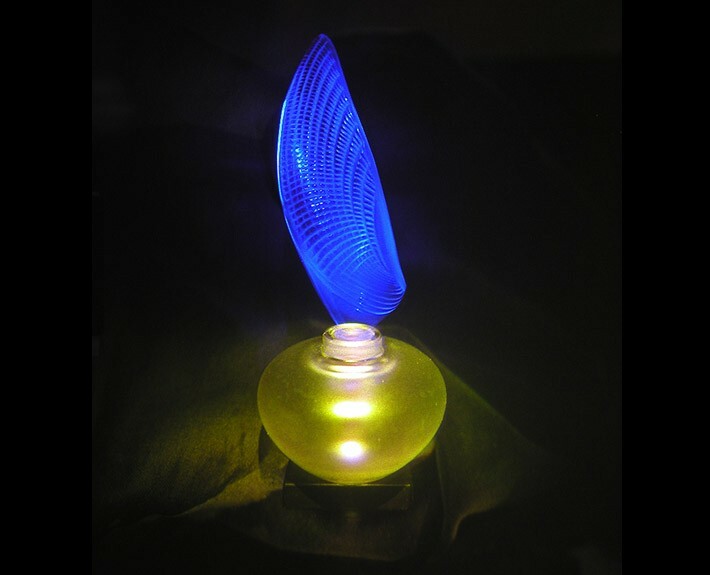 Made and designed by Lalique Ltd in the 1990’s. Note the vibrancy of the blue, a difficult colour to achieve in a reflection hologram. The hologram preserves all the characteristics of the subject including the optical properties of the glass. This would not be possible using any other medium.